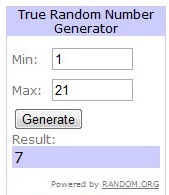 Congratulations to Savannah as the 7th commenter on my giveaway post!! I will let you know right away that you have won and then you can choose your gift card!! Thank you for all of you for entering- I promise another giveaway soon!! I am going away for the weekend (but I will try to get some photos!!) so I'll be back tomorrow for Friend Friday and then I'll see you on Sunday.